Don’t let a single second go unsupervised with the Worksite Hawk! This innovative advance in management technology is equipped with a cutting-edge 360 degree PTZ surveillance camera that sees and remembers all. The Worksite Hawk doesn’t just stream live video. It also stores all the footage, ensuring that every moment is a matter of record. User-friendly software allows you to browse through up to 200 days’ worth of footage, enabling you to monitor employee performance, deliveries, and more for over six months. 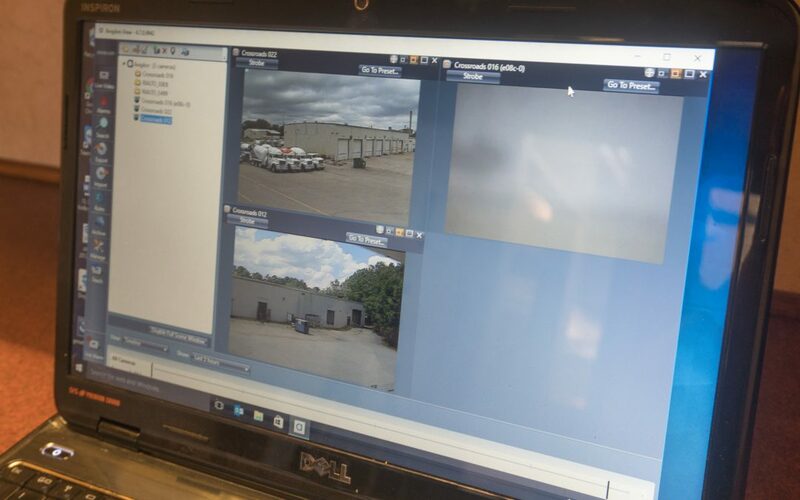 Security events captured by the Worksite Hawk, such as suspicious behavior or vehicles, are individually earmarked for review by the software, meaning that you can instantly review pertinent footage. Whatever happens, the Worksite Hawk keeps a record, so you won’t miss a thing. Call us at 319-415-1226, or send us an email at sales@CrossroadsMfg.com to schedule your live Skype or FaceTime demonstration of the Worksite Hawk today!